Palestinian father-son drama in which the views of a traditional father collide with those of his modern, abroad-living son. The gap becomes visible while carrying out a social duty: the personal delivery of an invitation to a wedding party. In Palestine, when someone gets married, the men of the family, usually the father and sons, are expected to deliver the wedding invitations to each invitee in person. This tradition is a wajib, an unavoidable social duty. 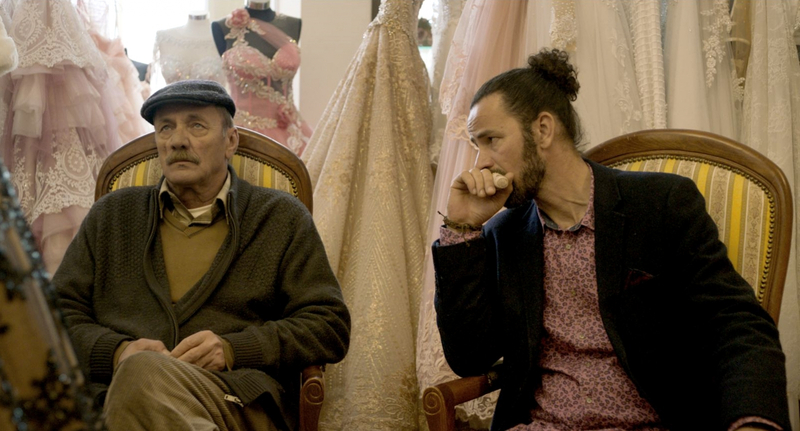 When director Annemarie Jacir's sister-in-law was getting married, her brother (Jacir's husband) and their father had to deliver the invitations. Jacir decided to tag along; using her observations she then wrote a screenplay and made a film: Wajib. 60-something Abu Shadi is a teacher in Nazareth. His daughter is getting married, so now all wedding invitations must be delivered personally. His son Shadi, an architect who moved to Italy many years ago, arrives to help with this. During their delivery round it becomes clear how much estranged the two men have become. Can the gap between the traditional father and his modern, cosmopolitan son be bridged?